Intracoastal & marsh views from this beautiful brick home w/ 3 car garage located on wide treed lot . 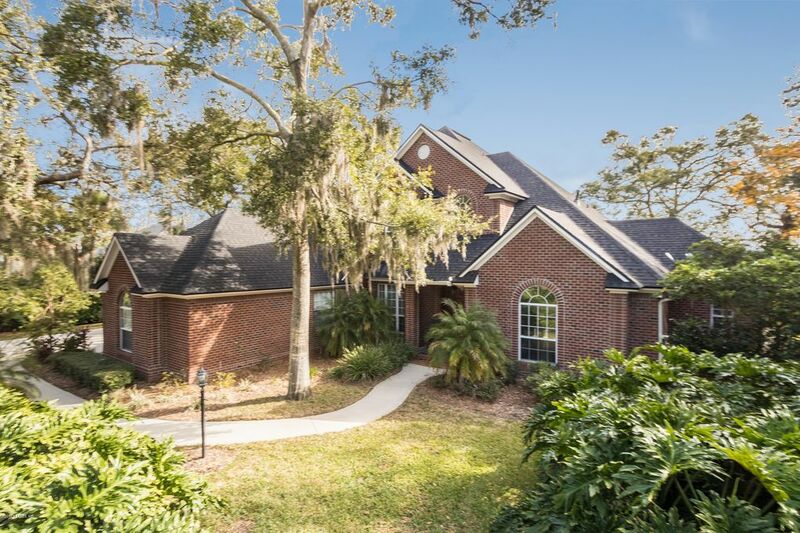 Lovely two story foyer w/ curved staircase w/ office w/ french doors & built-ins & formal dining room to each side & straight ahead to living room w/ fireplace & wall of windows for great marsh views. Spacious master suite down w/ bay window seating, his & hers baths w/ separate showers, sinks & commodes & shared jetted tub. Spacious kitchen w/ prep sink & granite counters opens to cozy family room w/ brick fireplace & atrium door to covered screened lanai w/ summer kitchen & pool. 2nd staircase to 3 bedrooms & 2 full baths upstairs. Large closets. Newly painted interior.